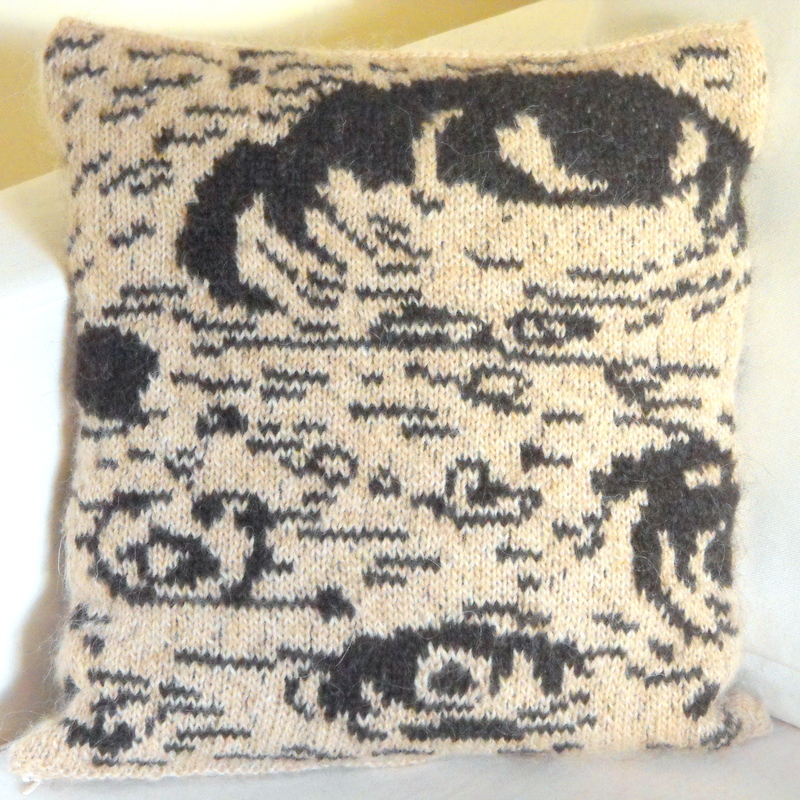 ← WIP Wednesday: Stitch, Snip ‘n’ Steek! This week has been rare in that most of my crafty time has been spent spinning. 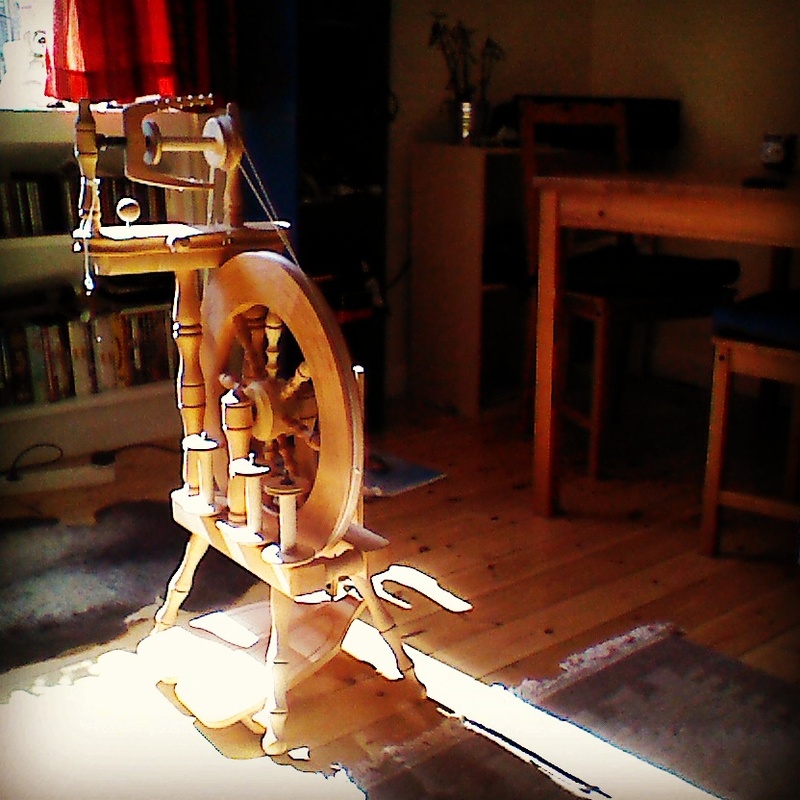 This is because I enjoy spinning and knitting in different ways- knitting for when my mind wants to be engaged, and spinning for when I’m seeking a kind of stillness. The rhythm of the wheel and of drafting the fibre is repetitive and relaxing- but it also grounds me in a way that knitting doesn’t. When I knit, I count, I calculate, whether it’s the number of stitches clicking between my hands or what I need to do that day. This really reminds me of my favourite kind of dance practice, Gabrielle Roth’s 5 Rhythms – my knitting usually falls squarely in the “staccato” phase of the dance. In spinning however, there is a constant whir and flow. This brings me to the spinning project I’ve been trundling away at here and there over the past few weeks, sometimes for a few minutes and sometimes a couple of hours, but always when I need to switch off, decompress from mental activity and come back down to earth. I’ve been spinning my stormy sea and sky 2 ply yarn- a blend of blue-grey British wool tops with white Shetland. It’s the first time I’ve been a bit more patient with with my spinning and also tried to spin thinner. This was easier than I thought, especially with the Shetland wool. The result is a lovely soft blend of shades that I’m already looking forward to knit something lovely with. 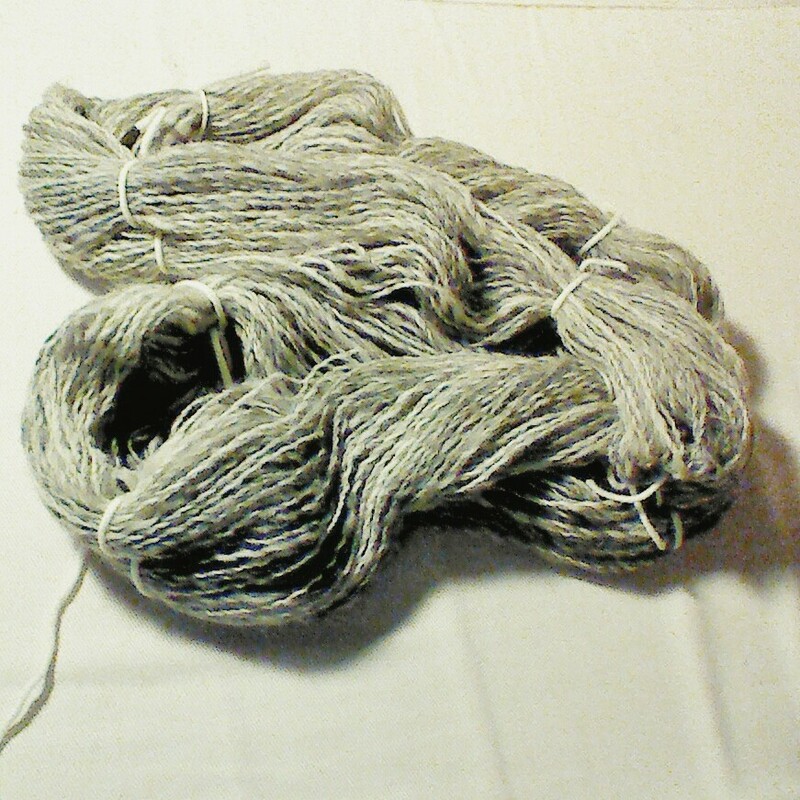 This entry was posted in Spinning, WIP Wednesday and tagged 5 Rhythms, British wool, Craft, Gabrielle Roth, Handspun Yarn, Håndarbejde, København, Knitting, Rok, Shetland Wool, Spinning, Spinning Wheel, Strik. Bookmark the permalink.